This album is beautifully recorded with a mix that lets every instrument breathe and shine while the vocal harmonies are tight and on the money. Back in 1979 along came a band that brought together pretty much all of my early musical influences; from the sixties and the melodic sensibilities of The Beatles, The Moody Blues and The Move through to the early seventies Pop of Badfinger and onto the lush multi-layered sounds of early Queen and ELO. 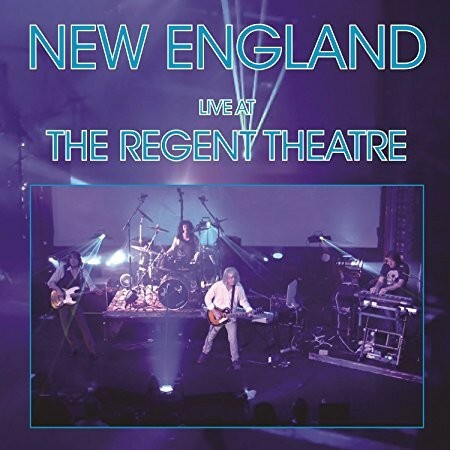 What I got was New England, a band out of Boston, Massachusetts (naturally) who lasted just three (but a glorious three) Melodic Hard Rock albums, but who left an indelible mark upon me. Fast forward to 2016 and this year sees the band very much back in business with a live album recorded in 2014. This album is essentially a "greatest hits" collection, taking choice cuts from the band's catalogue. The band waste no time in making a statement with the adrenaline rush of opener 'Seal It With A Kiss' and the pounding 'L5' before they move effortlessly through different styles, such is their expertise. 'Explorer Suite' is an all-out Prog/keyboard extravaganza while the truly beautiful and serene 'Shall I Run Away' and 'Turn Out The Light', with the latter's lovely Beatles-like keyboard sound, gives me goose bumps. The band, however, is really at its very best when they combine the rough with the soft and subtle, no more so than in the truly sublime 'Nothing To Fear' and their trademark song 'Don't Ever Wanna Lose Ya'. Here the keyboards of Jimmy Waldo really come to the fore with him playing foil to John Fannon's smouldering guitar riffs while in the bottom end Gary Shea's melodic bass runs and drummer Hirsh Gardner's pounding, strong drum accents create a sound that for me has no equal. 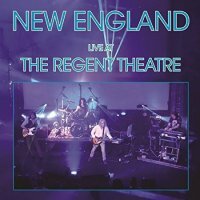 Their songs still sound fresh and vital, coupled with a real sense of drama and the epic with "songs" being the key word; New England has always had an inherent sense of melody and consequently everything here exudes sheer class. This album is beautifully recorded with a mix that lets every instrument breathe and shine while the vocal harmonies are tight and on the money. The band have seemingly lost nothing in the intervening years and to drive home that point the album finishes with the recently recorded studio song 'I Know There's Something Here', which sees the aforementioned influences coalesce into something quite unique and wonderful. With the promise of more new music to come, I for one can't wait.